The Capital Wave Water Polo Club offers programs for athletes aged 5 to adult, including our popular summertime programs and our Summer Water Polo Lake Camp (hosted by the Rojas family from Aug. 11-17, 2019). The youngest players can get taste for the game through Splash Polo, a new water sport created by our Capital Wave Head Coach Celso Rojas. This sport is designed for children 5–9 years old who love the water, love to have fun, love to be active, and love to throw a ball around – all while having fun in a team-sport environment. We also offer an Initiation Program, where participants (12 and under) learn the basics of the sport and play supervised contact scrimmages against each other. Our Development Program focuses on advanced individual skills, passing abilities, game sense, and basic team strategies. For those who wish to pursue the competitive aspects of water polo, we offer a rigorous program designed to compete at the provincial and national levels, where we’ve already experienced considerable success in our short existence. Our Adult Recreational Water Polo continues to grow in popularity, and we also head outdoors for Summer Water Polo fun. Our programs take place at a number of local pools, including central, east and west/south locations. 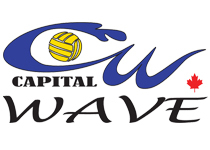 Capital Wave Water Polo Club aims to give athletes the opportunity to develop a positive self-image, achieve physical and mental strength, and attain goals through competitive and recreational water polo. Water polo is universally recognized as one of the most demanding team sports for developing well-rounded, physically fit athletes in both strength and endurance. We work with athletes to support their individual achievement in the sport, allowing them to strive for their ‘personal best’ both in and out of the pool. Our not-for-profit club fosters self-discipline, mutual respect, acceptance, and tolerance among coaches, athletes, parents, and volunteers. Strong coaching is integral to achieving our vision. We have a full time dedicated Head Coach who oversees all of the programs and personally follows the progress of all athletes to help them reach their full potential. We focus on long term athlete development and team spirit, while promoting health, safety, proper diet, and good lifestyle choices through our training. Our members enjoy the “family feel” that permeates throughout the club.